We're delighted to be launching the first items in our exclusive new range of greetings cards! Each set of quality printed 14.8 x 14.8 cm greetings cards contains three different designs. 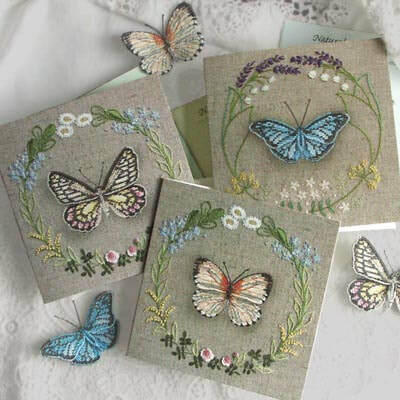 The cards feature photographic images of original hand embroidered butterflies and flower garlands and are blank inside for your own message. 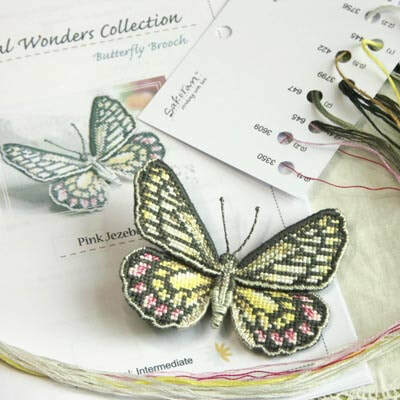 Butterflies Selection A includes designs featuring the Pink Jezebel Butterfly, Blue Wanderer Butterfly and Tropical Dotted Border Butterfly. 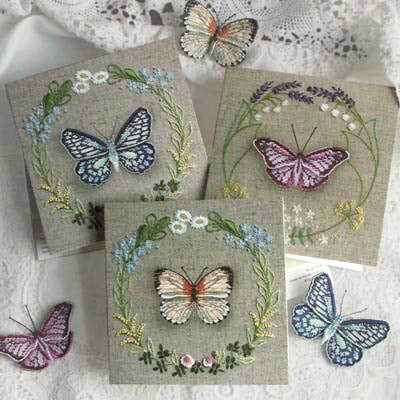 Butterflies Selection B includes designs featuring the Purple Wanderer Butterfly, Blue Jezebel Butterfly and Tropical Dotted Border Butterfly. 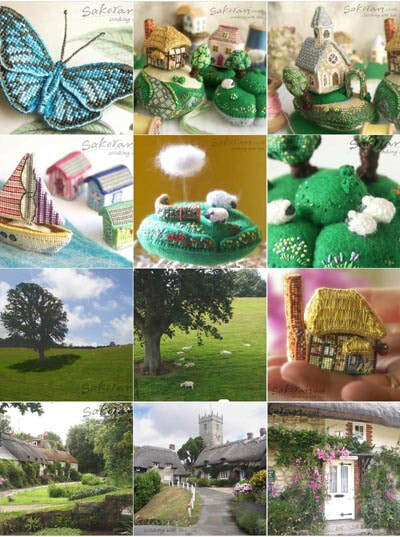 For more photos and information about our greetings cards, see here. We're delighted to be launching the second kit in our Natural Wonders Collection — the Pink Jezebel! 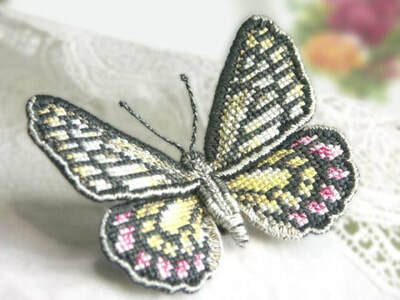 Based on the Common Jezebel Delias eucharis, this lovely butterfly brooch makes a wonderful addition to our series of 3D embroidery kits. As usual, the kit comes with a fully illustrated booklet that takes you step-by-step through making this novel and attractive brooch. With easy-to-follow stitching diagrams and charts, this project really isn’t as hard as it looks. 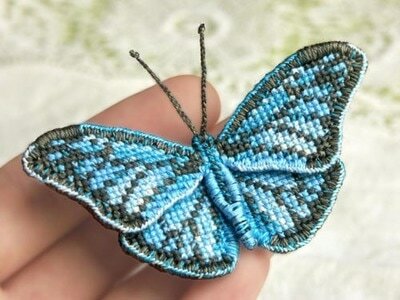 In fact, with little experience and a bit of dedication, you should find it relatively easy to make your own fabulous butterfly creation! 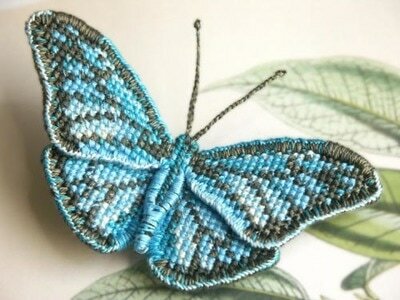 If you haven't seen it already, take a look at our Blue Wanderer butterfly brooch kit too. Last year we created lots of new designs which we haven’t shown you yet so we decided to share them with you, little by little, on Instagram. Some of these designs are not available as kits yet, but we couldn’t resist showing you our tiny yacht, some miniature cakes, and a variety of butterflies. We’re also going to share with you some other images, including those that inspire us to create our designs – beautiful landscapes and flowers, for example – many of them photographed near our home on the Isle of Wight, UK. Clicking the image below will take you straight there! 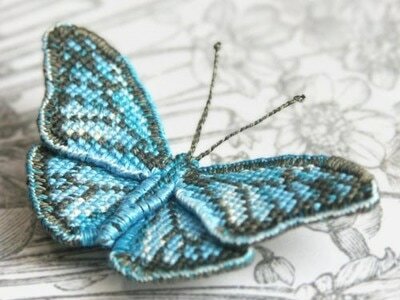 Blue Wanderer is the first in our brand new range of beautiful cross-stitch butterfly brooches. Look out for more butterflies coming later this summer! You can read more about the kit here.